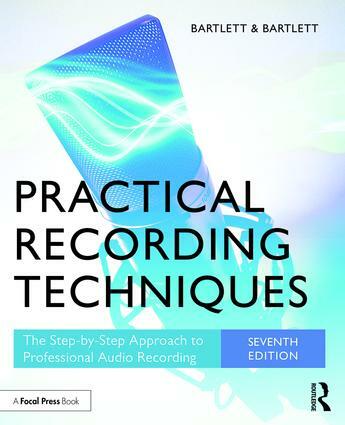 Practical Recording Techniques covers all aspects of recording, perfect for beginning and intermediate recording engineers, producers, musicians, and audio enthusiasts. Filled with tips and shortcuts, this hands-on, practical guide gives advice on equipping a home studio (whether low-budget or advanced) and suggestions for set-up, acoustics, effects, choosing mics and monitor speakers, and preventing hum. This best-selling guide also instructs how to mike instruments and vocals, judge recordings and improve them, work with MIDI and loops, do mastering, and put your music on the web. Two chapters cover live recording of classical and popular music. Bruce Bartlett has been a recording engineer, audio journalist, and microphone engineer (www.bartlettaudio.com) for over 30 years. He has written more than 1000 articles on audio topics for magazines and websites including ProSoundWeb, Live Sound International, L2Pnet, Recording, and the Journal of the Audio Engineering Society, as well as 9 books, including Recording Music on Location, 2nd edition (Focal Press). A member of the Audio Engineering Society and SynAudCon, he holds a degree in physics and several patents on microphone design. He is also a musician and runs a commercial computer-based recording studio. Jenny Bartlett is a freelance technical writer.